1. 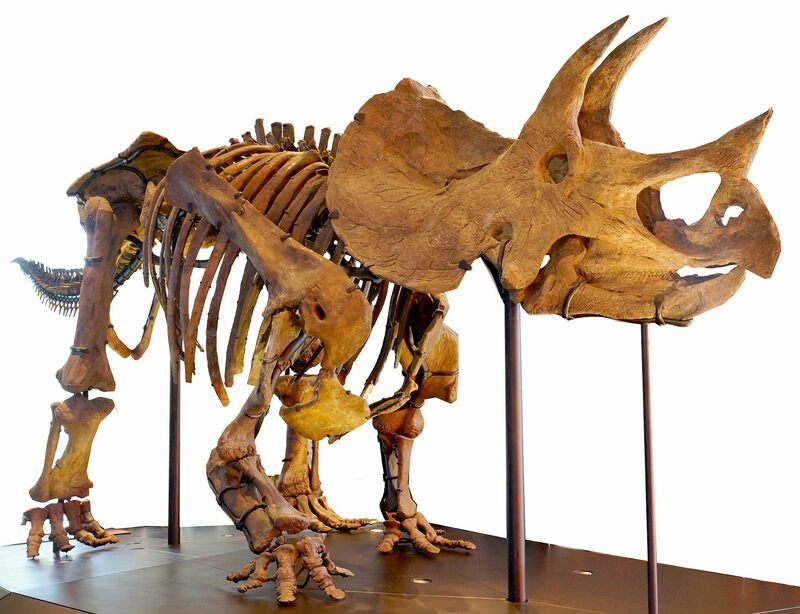 Triceratops was a herding dinosaur and there were lots of them. Think Buffalo on Serengeti (or North American plains two centuries ago for that matter) but 66 million years ago. 2. 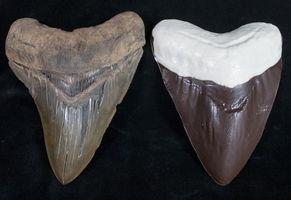 There had lots of teeth, up to 800 in their jaws at a single time. 3. They shed their teeth frequently as they became worn from grinding the coarse plant material that they ate. 4. 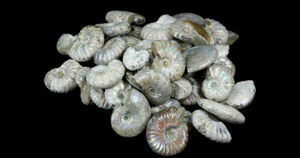 Compared to bones, teeth are much less delicate so are more likely to be fossilized. 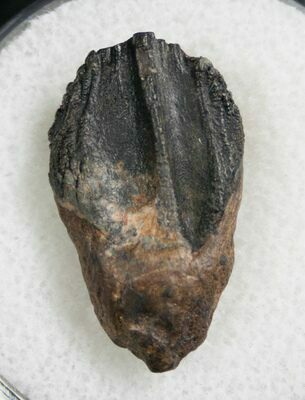 Teeth of Triceratops can be commonly found in parts of the Hell Creek Formation that primarily outcrops in Montana and South Dakota. The vast majority of the teeth that are found are the worn and discarded teeth, referred to as "spitters". Below are photos showing teeth in different states of wear. Here is a unworn tooth, still with the majority of its distinctive double root preserved. 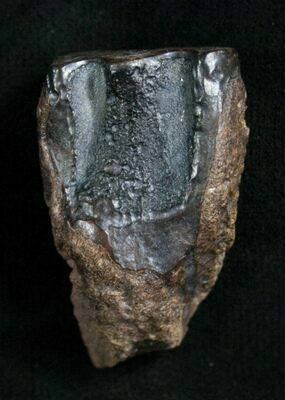 A tooth like this would have been lost after the dinosaur died and its skull broke apart. The skull is one of the most delicate parts of a skeleton so they rarely survive anywhere close to intact. 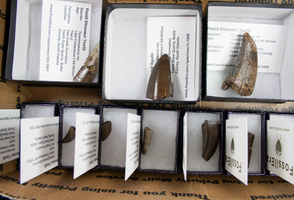 Teeth in this condition are fairly rare finds and from a commercial perspective will retail into the hundreds of dollars depending on the size and condition. 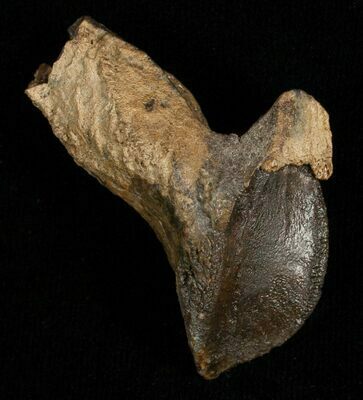 This is a triceratops tooth crown, exhibiting almost no wear but without an attached root. The root was one of the more delicate structures of the tooth, so crowns are much more common than rooted teeth. Expect to pay $50-200 for an unworn crown depending on size and condition. This is a tooth with moderate amount of wear. 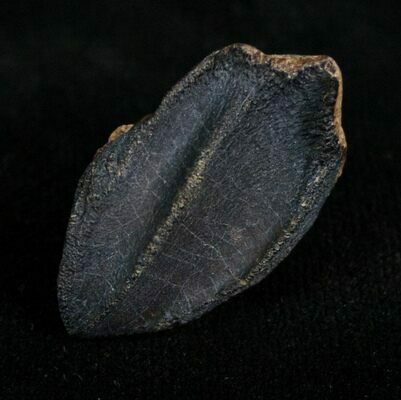 This is a "Spitter", a Triceratops tooth that has been completely worn down due to feeding activity and discarded. It is much more blocky in shape and the top surface has been completely worn down, appearing polished. 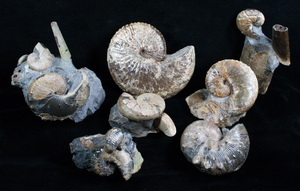 These teeth can be found in concentrations at certain locations in the Hell Creek Formation. 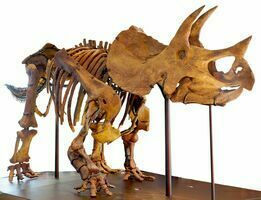 If you want to buy your kid a real dinosaur tooth as a gift, or for educational purposes, worn triceratops teeth are a pretty affordable option. Depending on size and condition expect to pay anywhere from $10-50 for these teeth. Here's what a Triceratops jaw looks like with it's full battery of teeth in place. A photo of the "Tooth Draw Quarry" in South Dakota, operated by PaleoAdventures. 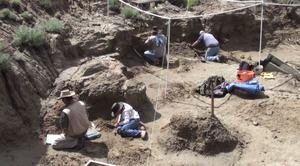 This quarry is the source of many of the teeth from the Hell Creek Formation that we sell.